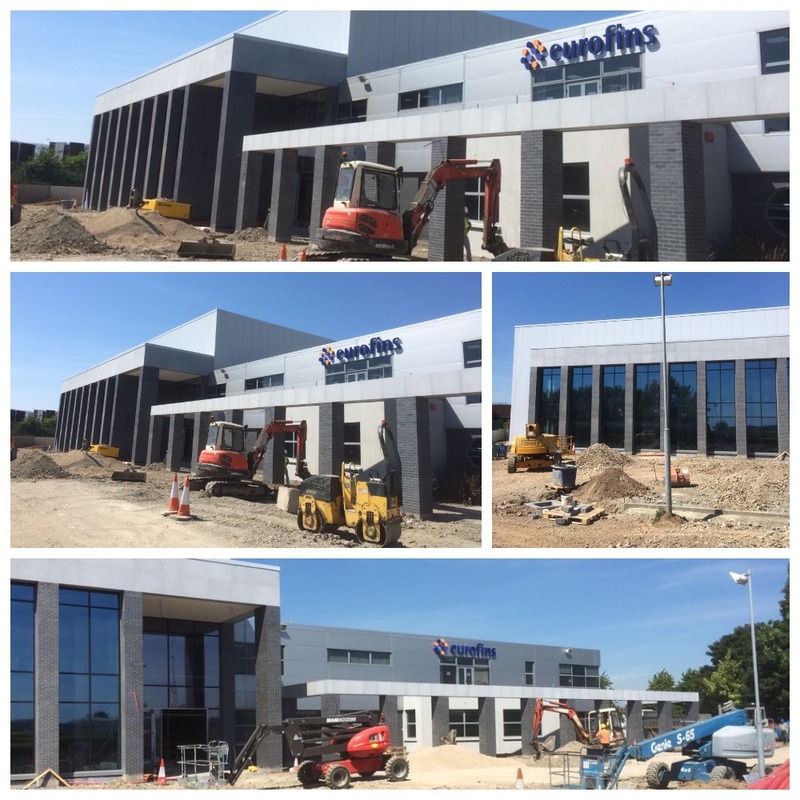 Tom O'Brien Construction | July 2018: €10 Million Eurofins Plant nearing completion! July 2018: €10 Million Eurofins Plant nearing completion! The new €10 million Eurofins Plant in Dungarvan Co. Waterford is really starting to shape up. The smart design by Architects Fewer Harrington and Partners and Engineers Frank Fox & Associates is garnering favourable comments, particularly on the steel cladding, extensive glazing, Ibstock brick and Limestone exterior. M&E is moving ahead internally, ground works are progressing externally and the specialist fitted furniture and laboratory equipment is currently being installed. We like keeping Site Manager Keith Barry, Site Engineer Daniyal Youssef and the rest of the TOB team on their toes. No resting on our laurels, there’s a deadline to beat!